It is trite to say that the Internet has changed the world of intellectual property. 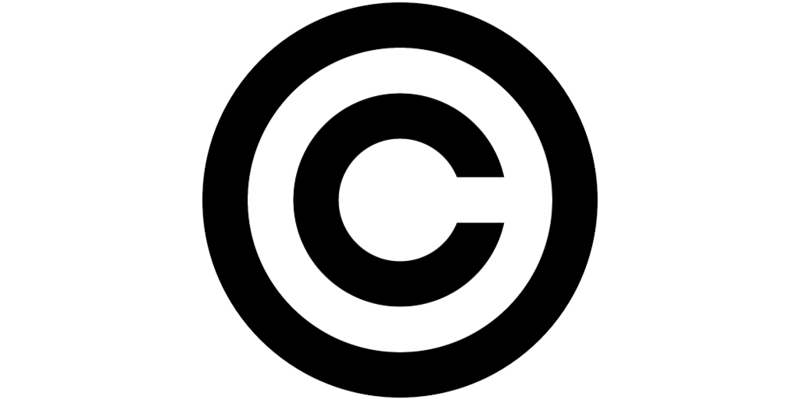 The Internet’s impact on copyright law, in particular, has been revolutionary. The Internet allowed artists and authors of creative expression to distribute their works to millions of users. Equally dramatic, the Internet has provided users the ability to share these works with others – millions of others. Anticipating and, indeed, encouraging further Internet development, in 1998, Congress passed the Digital Millennium Copyright Act (DMCA) to protect the fledging Internet and also protect those primarily responsible for the growth of the Internet, Internet Service Providers (ISPs). The DMCA, among other things, shielded ISPs from liability for the infringing conduct of ISP subscribers. The DMCA provided “safe harbors” in which ISPs could avoid liability by following certain guidelines (e.g., immediately taking down infringing conduct when copyright holders notified them). As hoped, this immunity fostered incredible growth for the Internet. Today, perhaps the most vexing question in copyright law is whether ISPs should continue to be exempt from liability for subscribers’ infringing acts. Stated more succinctly, should ISPs be at all responsible for preventing infringement occurring on their sites? Since the enactment of the DMCA, copyright infringement — through BitTorrent peer-to-peer systems, video streaming, direct download cyberlockers, and other file sharing networks — has increased at a phenomenal rate. Worldwide, hundreds of millions of Internet users seek out infringing content. The current DMCA scheme reasonably places the onus on copyright holders to root out infringement. After all, they are more likely to have the incentive to detect infringement and the ability to know whether competing products or uses of their works constitute infringement. The DMCA scheme then requires them to seek the help of ISPs through the DMCA’s notice and takedown provision. As many argue, this system has proved workable. But, in Time to Reboot? : DMCA 2.0, I suggest it may be time to revisit this scheme. Perhaps ISPs should take on a greater role in curbing online infringement. This is, to be charitable, not a popular viewpoint. Certainly copyright holders argue that ISPs should accept more responsibility, demanding that ISPs monitor and filter content on their sites for infringing material. They seek to add ex ante obligations to ISPs’ current ex post DMCA take down obligations. ISPs, on the other hand, argue that no additional obligations other than those required under the DMCA are necessary. They argue the current scheme has performed precisely as Congress had hoped and, more importantly, they are unable to determine whether works on their sites are infringing without the copyright holders first informing them. Moreover, the enormous expense of monitoring or searching sites should be borne by those whose property interests are at stake. Recognizing that more empirical data is needed to accurately assess the wisdom of changing the current scheme, Time to Reboot: DMCA 2.0 makes a case for requiring ISPs to take a more proactive role in preventing online infringement. Perhaps ISPs should take on a greater role in curbing online infringement. This is, to be charitable, not a popular viewpoint. In support, I argue that circumstances have unquestionably changed since Congress passed the DMCA in 1998. That carefully crafted scheme balancing the interests of ISPs and copyright holders is no longer balanced. More particularly, the DMCA’s preventative aspect (and the copyright holders’ benefit) was anti-circumvention provisions, which prevented users from circumventing then-promising technological protection measures copyright holders placed on their works to prevent infringement. These provisions have become all but meaningless, as copyright holders have abandoned efforts to use protection measures because of the public outcry criticizing such measures. Without these countervailing provisions, the DMCA is no longer balanced. Time to Reboot proposes recalibrating the current system by adding a new preventative aspect, i.e., layering a duty-based regime over the already existing strict liability scheme. Under this duty-based regime, ISPs will be required to shoulder part of the burden of protecting content owners by taking reasonable efforts to prevent infringement. These efforts should include, at the least, monitoring their sites using existing filtering technology to detect and prevent infringement. Notably, some ISPs already use such technology to ferret out infringing material. This new approach strikes a balance between no ISP liability, on the one hand, and strict liability on the other, by making duty and liability contingent upon factors such as ISP size, resources, market position, and technical capacity and ability, among others. The proposal draws from an unlikely area, employer-employee respondeat superior liability principles in employment law, particularly in the Title VII sexual harassment context. There, liability is contingent not only upon remedial measures taken by the employer to redress harassment, but also preventative measures designed to avert harassment. While there are obvious differences in the two contexts, many parallels suggest that the sexual harassment scheme can provide useful insight to the copyright infringement scheme. Time to Reboot thus advocates for a similar approach in the ISP context. You can download Time to Reboot here. Posted in Commentary, Faculty Scholarship and tagged Copyright, Digital Millennium Copyright Act, DMCA, Intellectual Property. Bookmark the permalink.